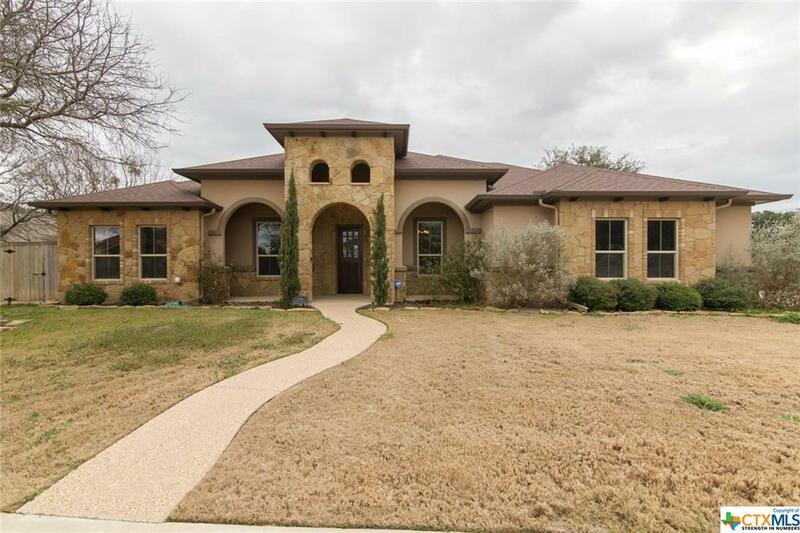 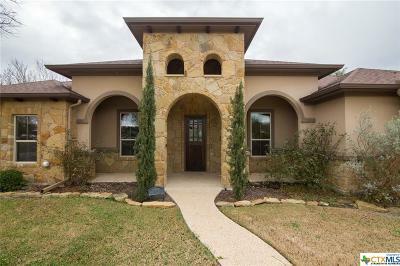 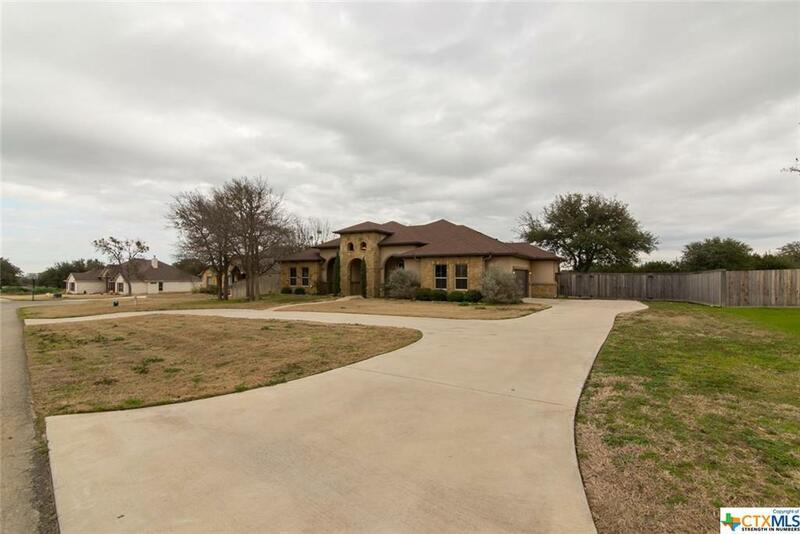 Wonderful stone and stucco home with a Tuscan flair. 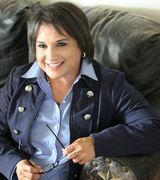 Rural feel on the outskirts of historic Salado. 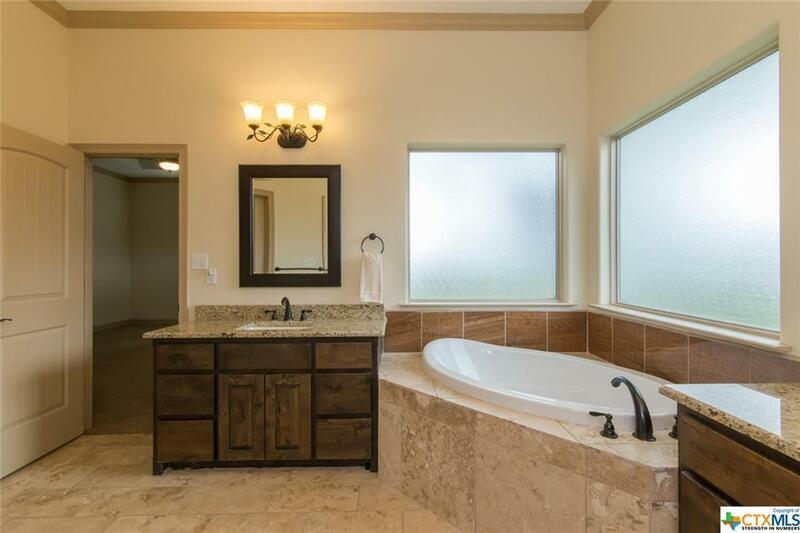 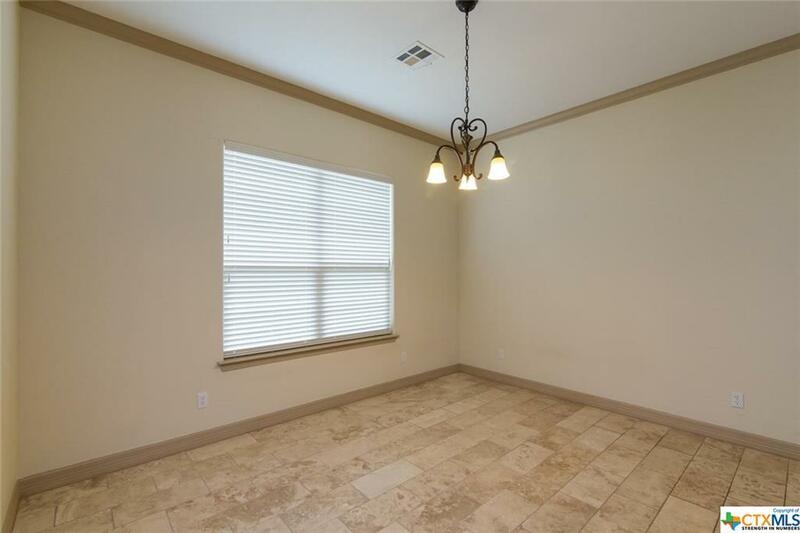 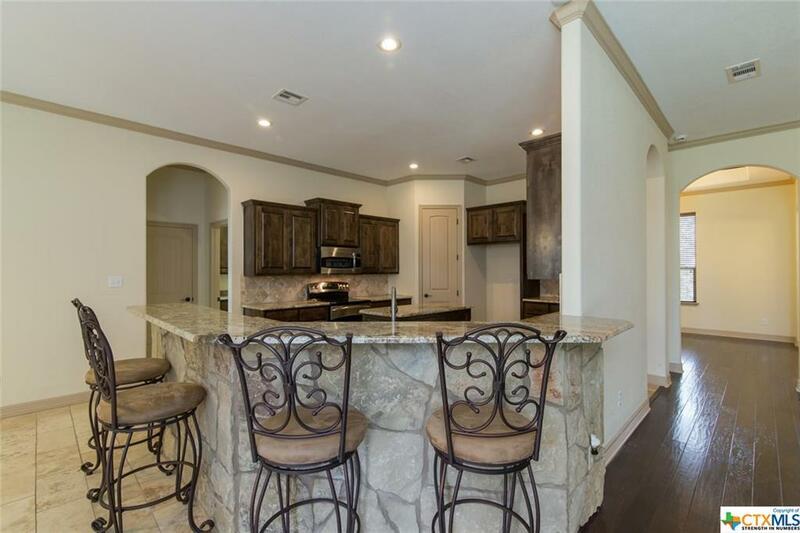 Quality craftsmanship shows in this comfortable 4 bedroom, 3 bath with 2 dining areas. 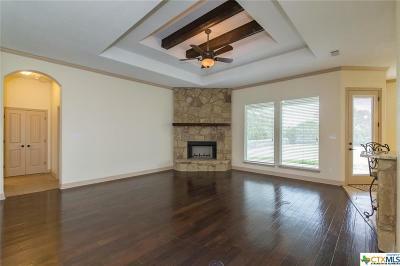 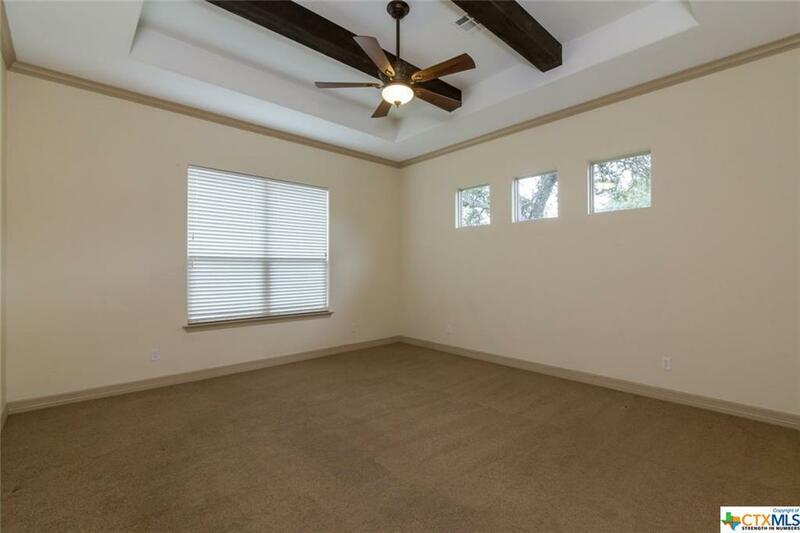 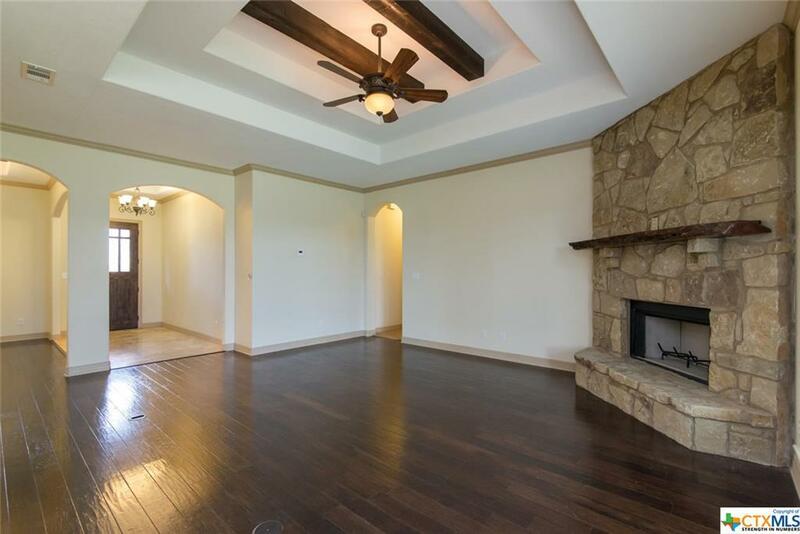 Inviting family room offers corner fireplace and stepped up ceiling with beam accents. 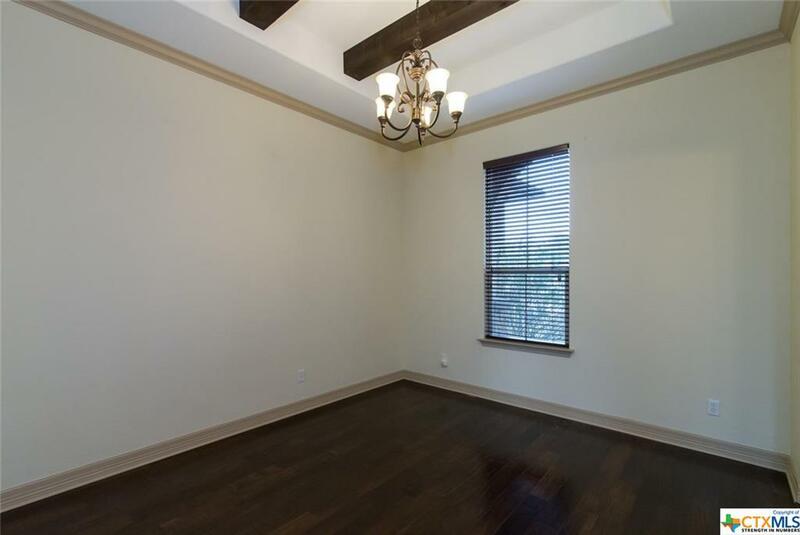 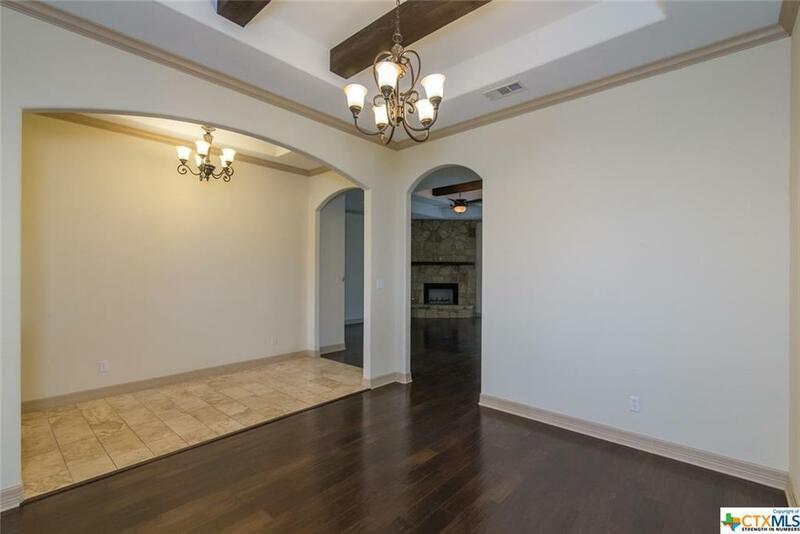 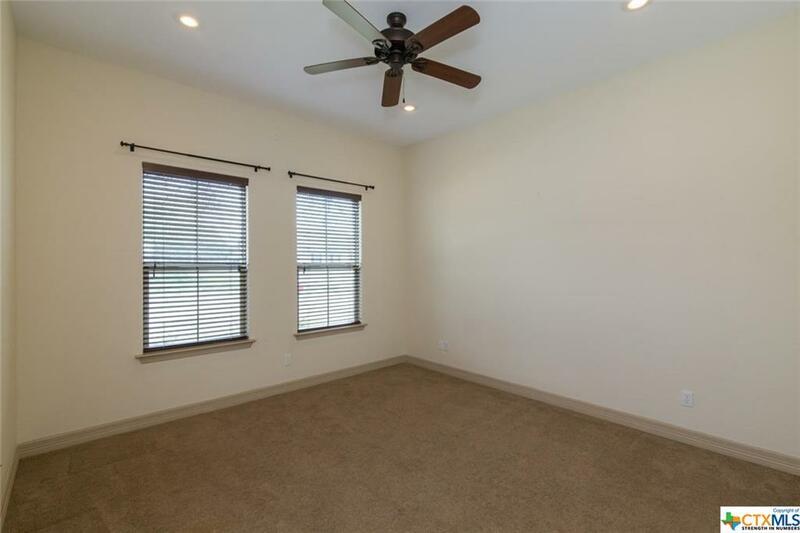 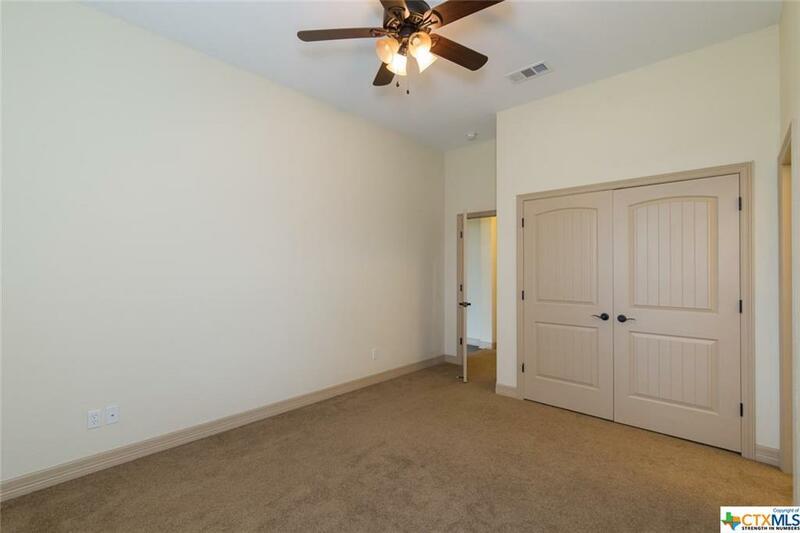 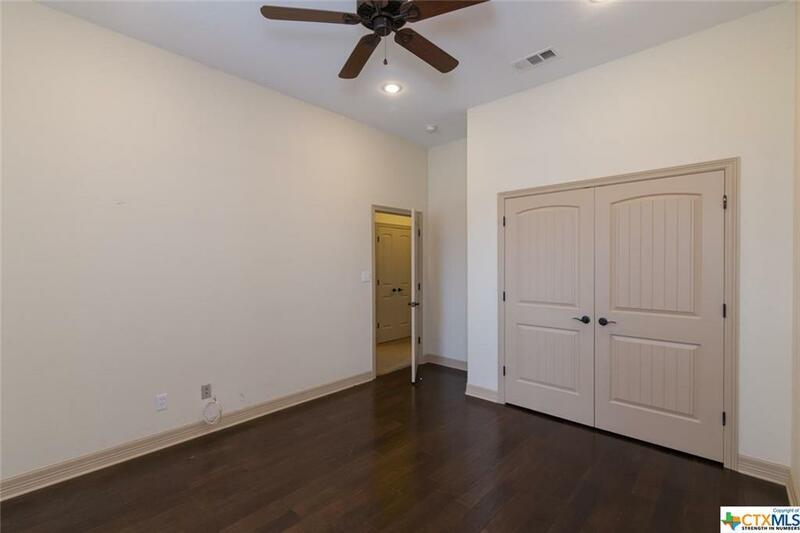 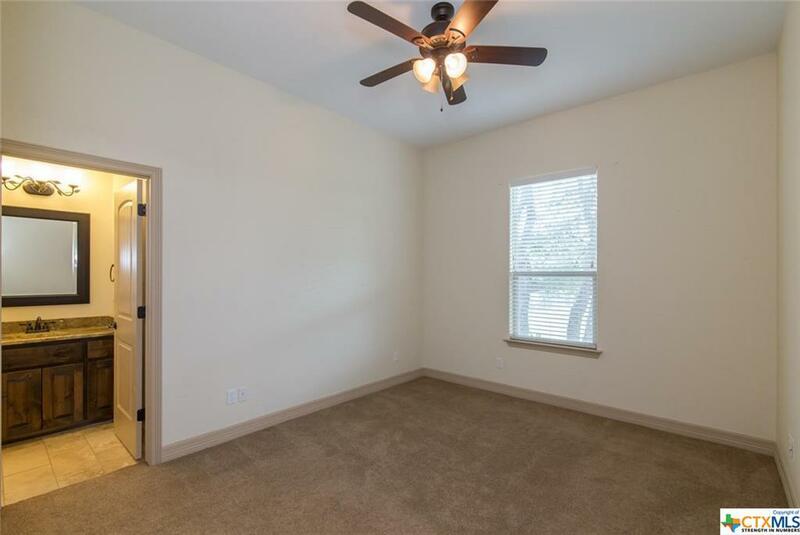 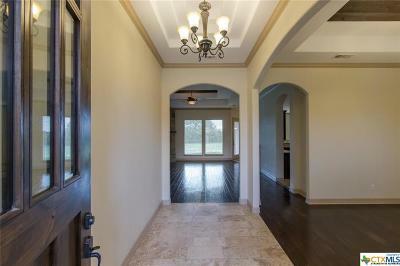 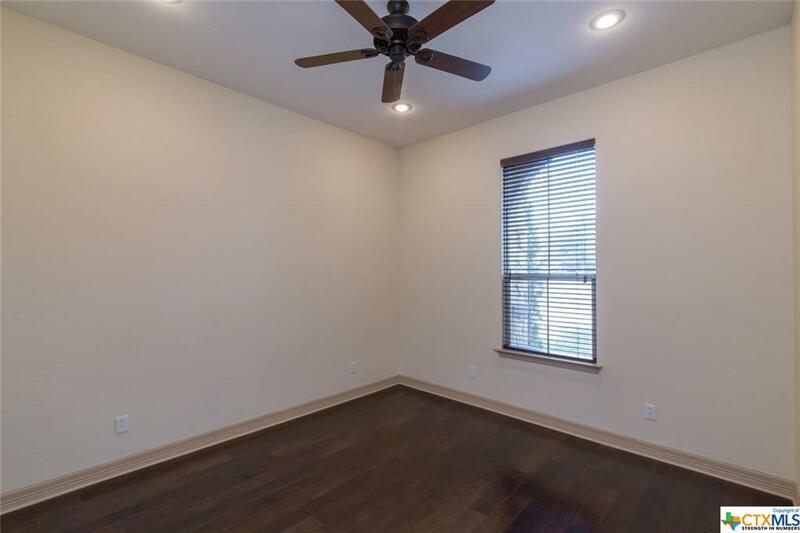 Hardwood flooring in entryway, family room, formal dining and one of the auxiliary bedrooms. 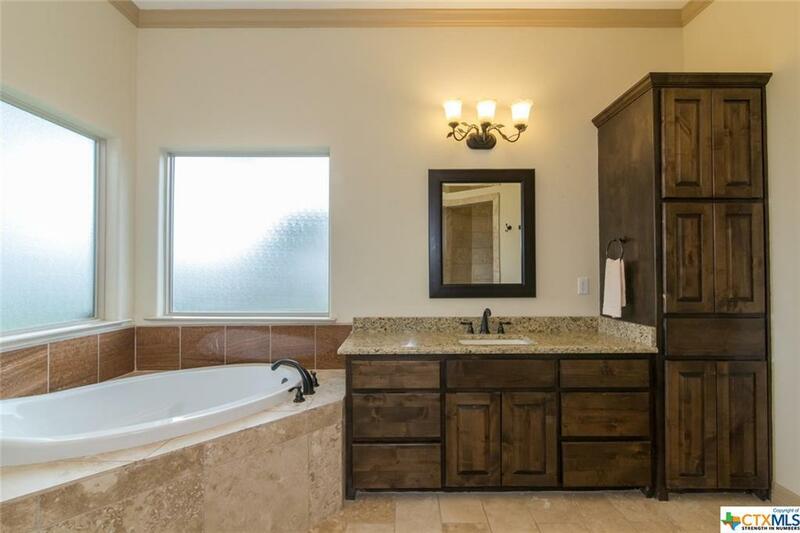 Master suite includes a spacious closet and spa-like bath. 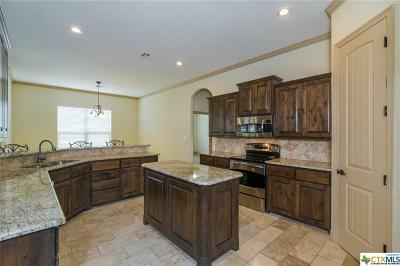 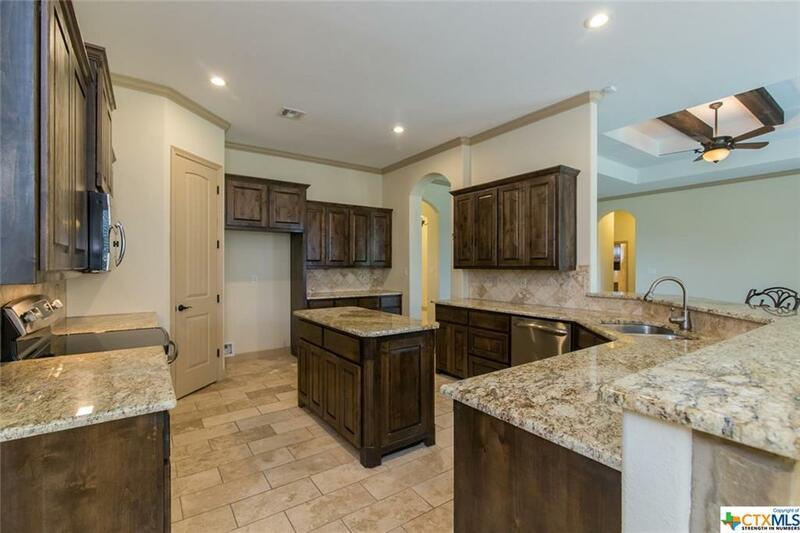 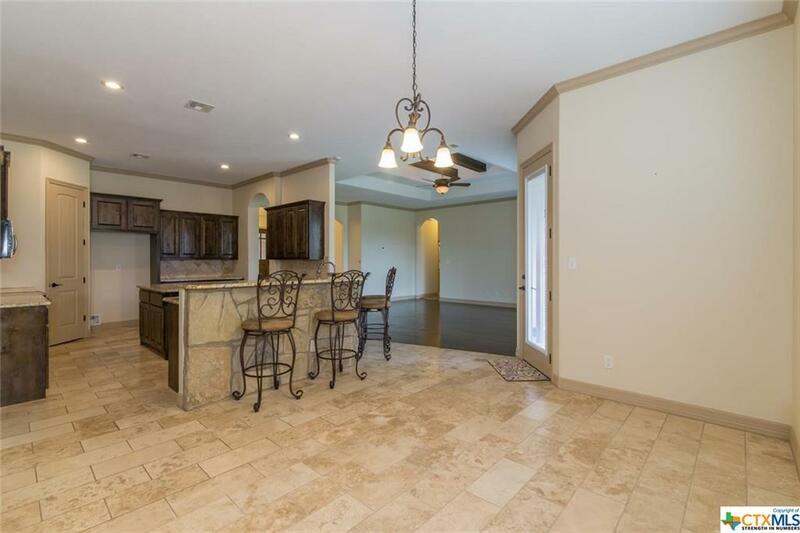 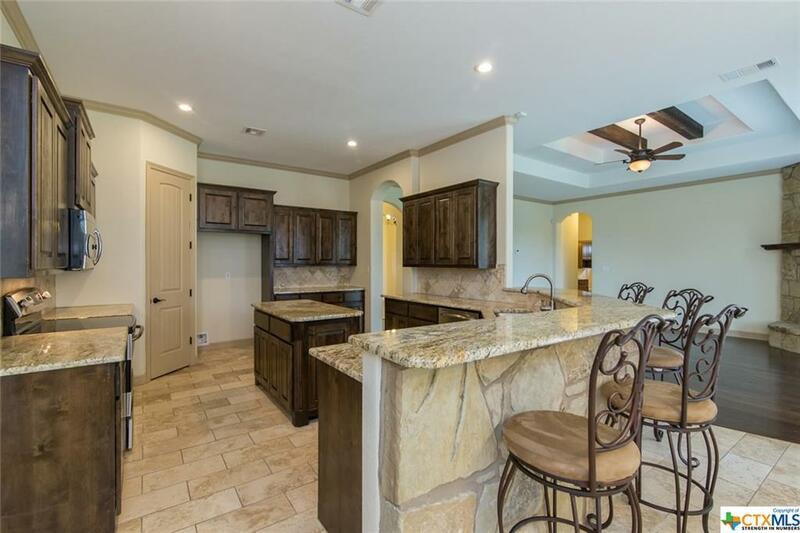 Beautiful kitchen sports granite countertops, breakfast bar with stone accent, center island and stainless appliances. 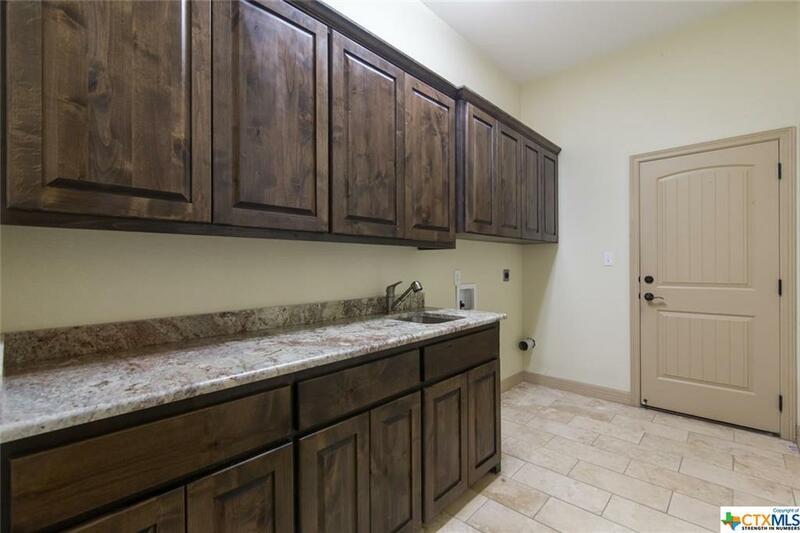 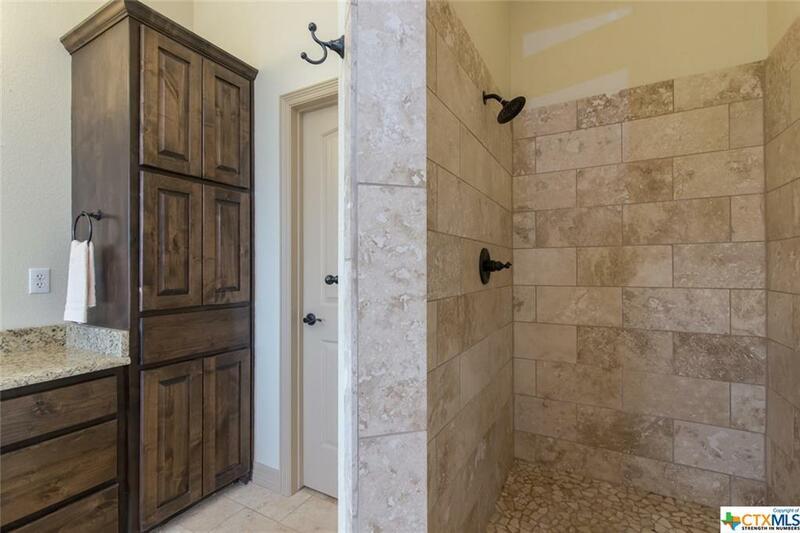 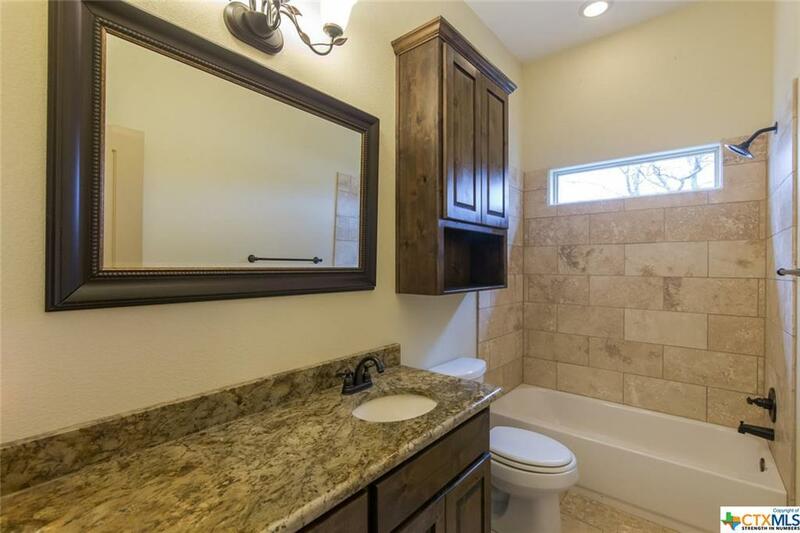 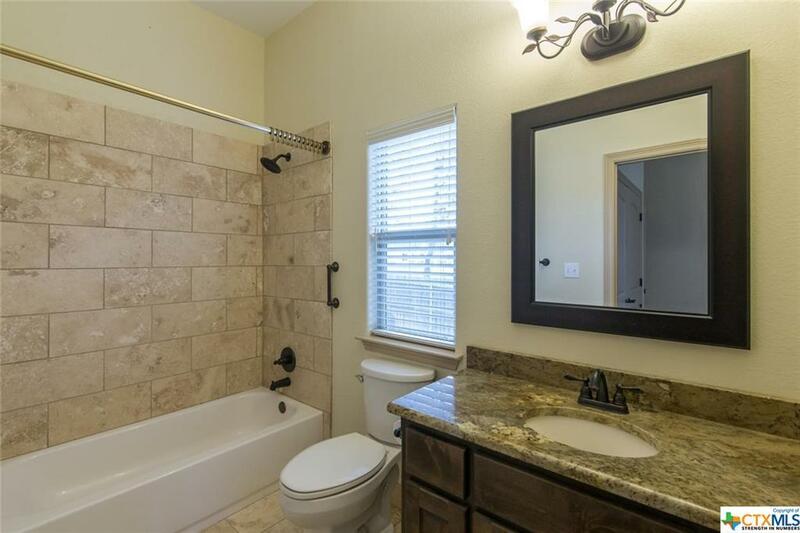 Utility room has sink, granite countertop & built-in cabinets for endless storage. 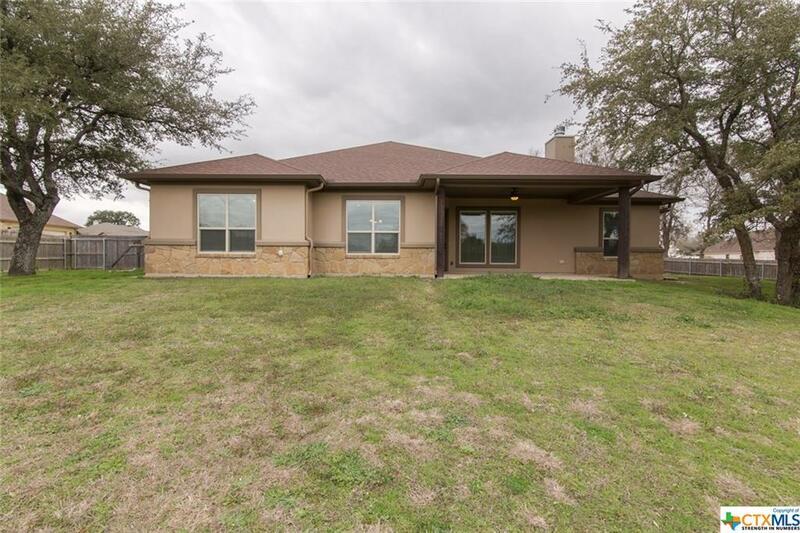 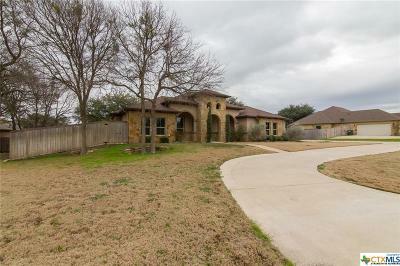 This home has been well taken care of and is ready for new owners. 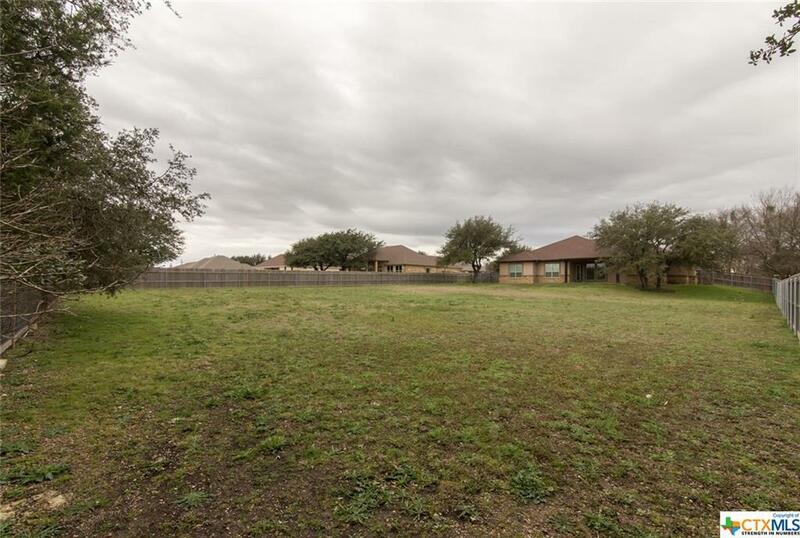 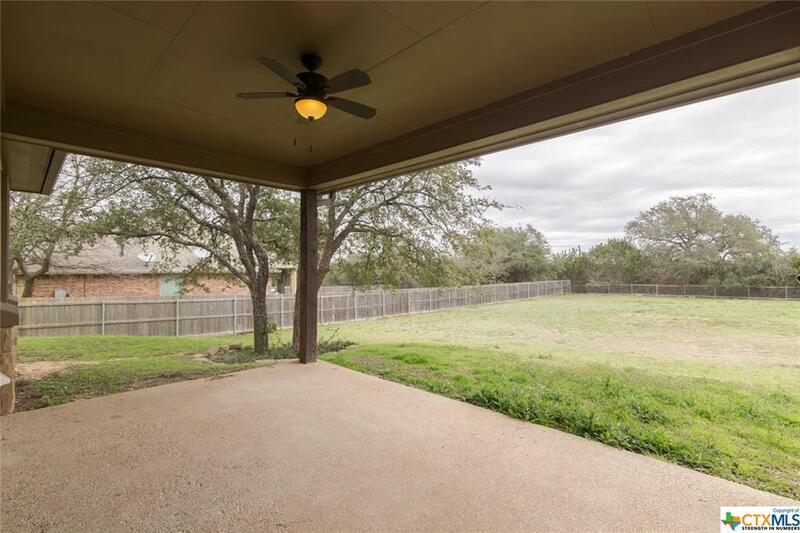 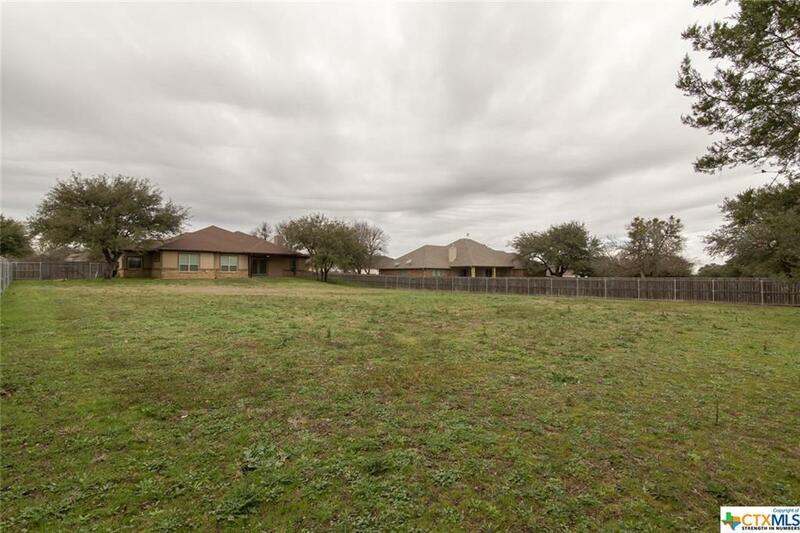 Huge fenced backyard, sprinkler system, and large mature trees enhance this peaceful setting. 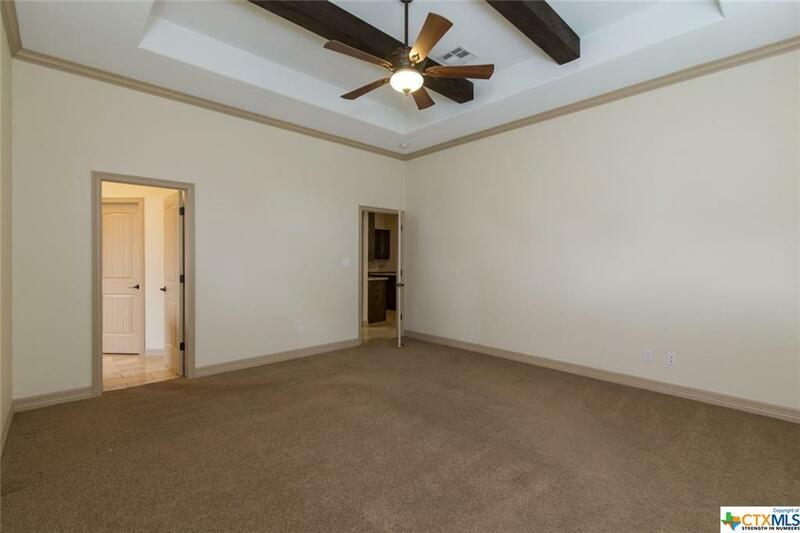 Extra parking in the circle drive for family and friends. 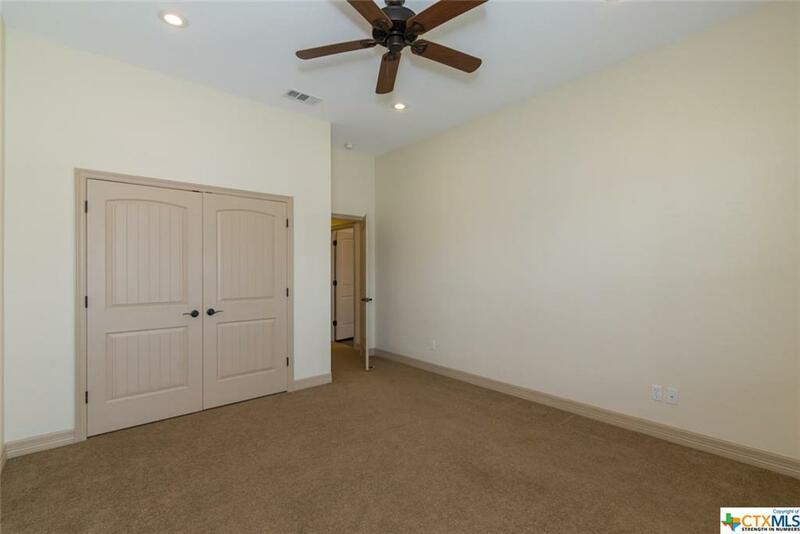 Two car garage with room for cabinets and freezer has garage door opener with outside keypad. Vacant and ready for quick closing. 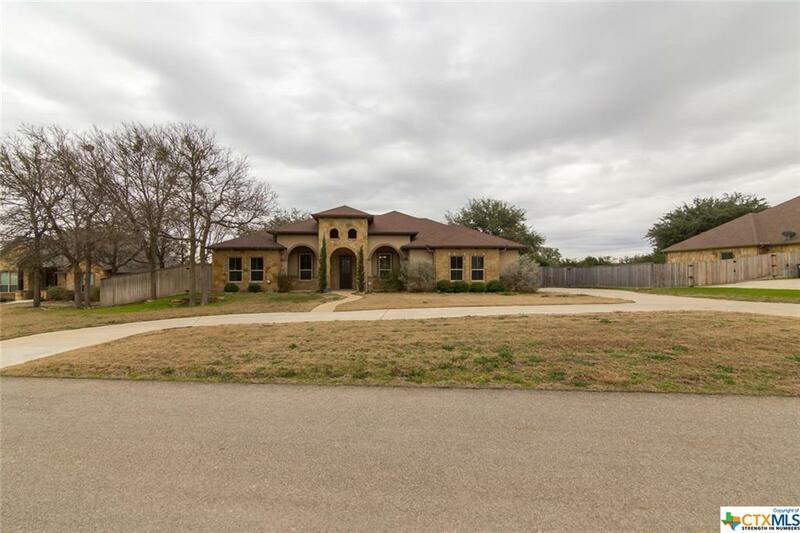 Directions: From I-35 South Of Salado, Take Fm 2268 Toward Holland, Left On Blackberry Then Right On Royal. 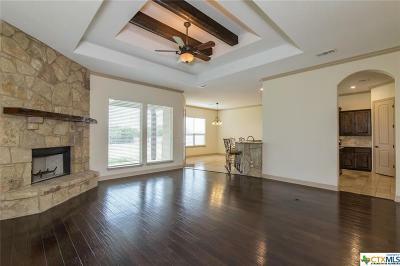 Left On Doves Landing.